Paul Larson, 87, Rapid City, died at the Rapid City Regional Hospital Wednesday, Jan. 1, 2003. He was born Feb. 12, 1915, at Sidney, Iowa, the son of Arthur and Nellie (Ingelman) Larson. He grew up in the Midland and Philip area. He moved to Rapid City in 1933 and graduated from high school in Rapid City in 1933. 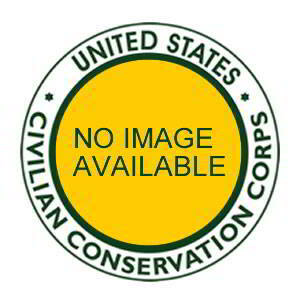 Paul spent 18 months in the Civilian Conservation Corps and was assigned at Custer, Rapid City, Horse Creek and in Sioux Falls. He served in the Army Corp of Engineers as a Flight Engineer for a period of four years during World War II, spending two and a half years in England, North Africa and Italy. He returned to S.D. following military service and was married to Lou Ella Brown. They had two sons, Dever and Joseph. He was employed with Northwestern Engineering for a period of thirty years and was later employed with Godfrey Brake Service for a period of ten years. He was also employed with England Contractors and England Bros. for a time. Following his retirement at the age of 68 he moved to Westhills Village in Rapid City. Paul was married to Doris Singleton in 1989 in Rapid City. He was a member of Mount Rushmore Lodge #220 AF & AM, the Scottish Rite of Freemasonry and the Naja Temple AAONMS of Deadwood, S.D. Survivors include his wife Doris Larson, Rapid City; two sons, Joseph Larson and his wife Harriet, Iberia, Missouri, and Dever Larson and his wife Vicki, Rapid City; six grandchildren; four step-grandchildren; four great-grandchildren and eight step-great-grandchildren. Memorial services will be at 2 p.m. Saturday at the Osheim-Catron Funeral Home, with Rev. David Miller officiating. Inurnment will be at a later date at the Black Hills National Cemetery, with military honors provided by Rushmore VFW Post 1273. A memorial has been established to the United Way of Rapid City.